Fall sports are starting up! It seems really early but our fall soccer season is starts in a little over a week. (Didn’t spring soccer just end??) There are many benefits to letting your kids participate in team sports, but there is also the risk of injury. Signing your kids up for a sport and then seeing them get hurt is devastating. Although you cannot predict when an injury will happen, there are some ways you can prevent sports injuries from occurring in kids. It’s a given that if kids are not playing with the proper equipment, they risk getting hurt. Make sure your kids have proper equipment before they play. And better yet, make sure they are wearing the equipment when they play to prevent from getting hurt. Pork Chop loves soccer and before each season we check his cleats and shin guards to make sure they are still the appropriate size. Not every sports “arena” is safe to play in. If you are questioning whether a certain area is safe for your kids to play in, make sure you check for yourself. You’ll want to make sure there’s nothing on the ground for kids to trip on. It doesn’t take much for a child to get hurt while playing sports, so this is an important step. Is there proper drainage? Do the administrators/coaches cancel practices or postpone games based on field conditions? Our YMCA does and it makes me feel more comfortable knowing that they prefer to postpone games rather than risk injury when the fields are particularly muddy. 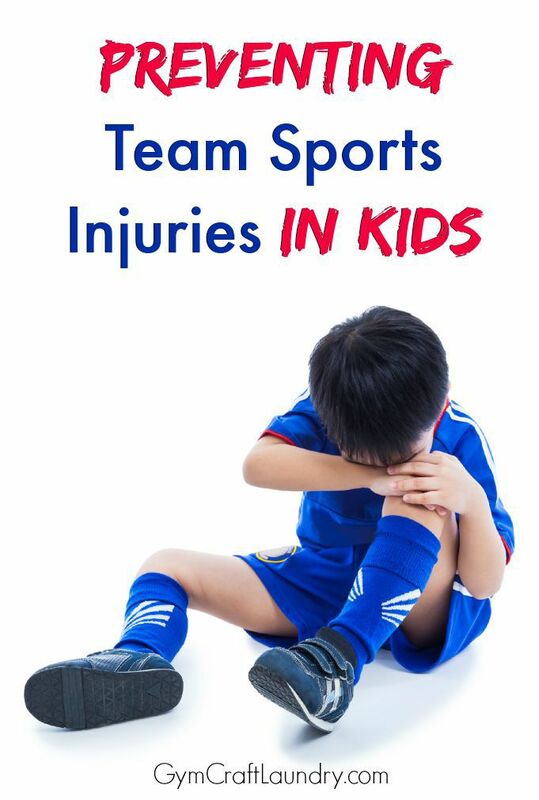 Another way to help prevent sports injuries in kids is to make sure you are present at the games. Kids can be hurt by almost anything, so it’s great to have an extra pair of eyes. You’re not going to the games or events to be overprotective, but it never hurts to keep that close eye on your kids and the team to make sure they are not hurt. I stick around for practices with all of the other team parents. Since our kids are still under 10, I think sticking around rather than just dropping off is the norm with our soccer practices. If your child is playing a sport this year, make sure their coach has the proper certifications. You don’t want someone coaching your child who isn’t cut out for the job. This is important because someone who is not qualified could be asking your child to do push their physical limitations too hard. There’s nothing wrong with being properly trained in the sport they’re coaching in. To ensure your child doesn’t get hurt, you’ll want to make sure they know what they are doing. Give them pointers to help them from injuring themselves. Remind them to wear their equipment properly and watch out for what they are doing. They will also need to keep an eye on what the other team is up to. Many injuries happen because players run into each other or someone’s not paying attention. If your child does get injured, it’s important to get it properly looked at. An injury like a concussion, sprain, or something that is broken needs professional attention. If a professional does not see it and the wound heals wrong, you could be asking for trouble later down the road. Deal with it now, so that your child can concentrate on sports later down the road. Keep in mind that injuries happen, but these tips can help avoid sports injuries like the plague. Do you have any tips to add? Great tips, especially as the kids get older and team sports become a bit more serious and competitive. Pinned this. We are just getting into the more competitive season. My 7yo’s whole team was moved up a division from Under 8 to Under 10. Some of my friends are nervous about it but the kids are ready for the challenge! Thanks. This is a great post. 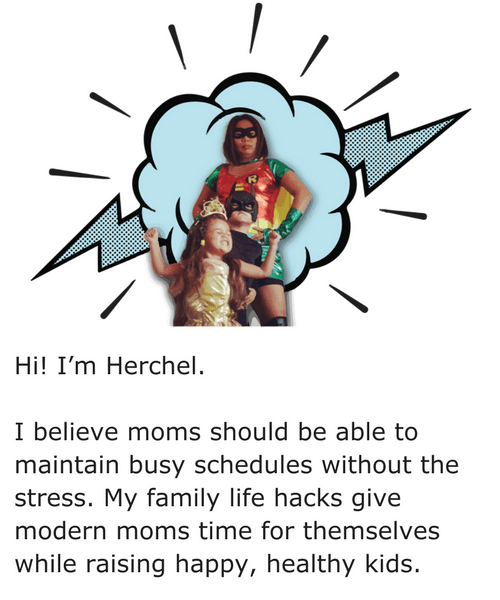 I like how you promote that parents can be present and a second set of eyes. I actually have to remind myself sometimes that I have to not only be present..but also be present and not on my phone or gabbing on the side lines. Wish us luck. My son is starting soccer this fall.